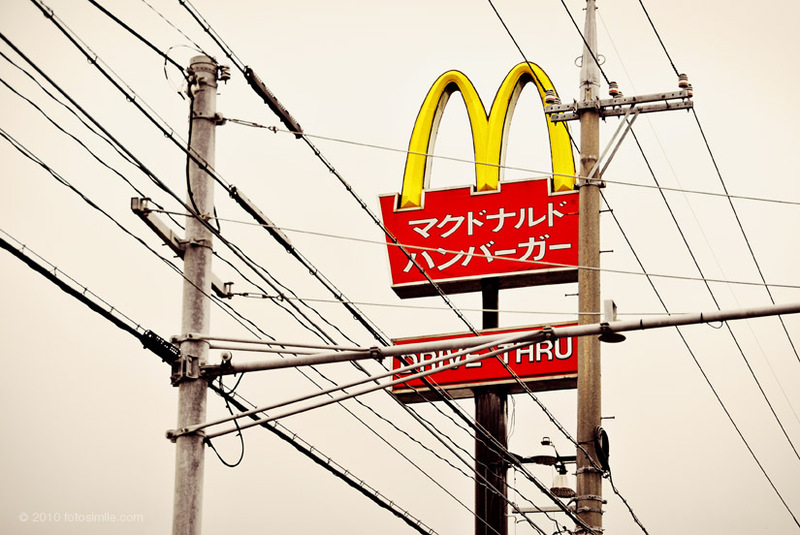 Seems no matter where you go in the world, you will see the proverbial Yellow Arches. Here they were last year in the midst of the urban sprawl of Naha, Okinawa, needing no translation at all (actually, I think I grabbed this shot from the car). On my trip this year, I got to eat at the Japanese version of McDonald's and I have to say the burger was much better than the ones I never get here in the US. The menu featured selections not seen on the US menu, the drink cups were very small and there were no free refills, but most of the rest of the experience was familiar.